It was an Oberon class diesel electric submarine and was launched in 1962. 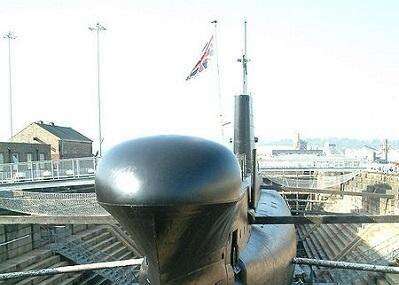 It was the last submarine built for the Royal Navy at Chatham Dockyard. It was sold in 1992 and today the site has been beautifully preserved as a museum. You can explore the vessel as it is an outstanding piece of naval engineering. The best part is that it is still intact to give you a feel as if the officers have just left it. Bring your kids here, take a guided tour and tell them about all the intricacies of life under water and the rich history behind it. An impressive tour awaits you! Add comfortable hotels to your plan, choose from the recommended hotels in Chatham like Larkfield Priory Hotel, Holiday Inn Rochester-chatham and Bridgewood Manor - Qhotels. Explore the best Chatham vacation packages that will take to you important landmarks of the city! For getting in, check out how to reach Chatham. How popular is Hms Ocelot? People normally club together The Historic Dockyard Chatham and Britannia Theatre while planning their visit to Hms Ocelot. Unique experience to be guided through the interior of a submarine. Interesting and fun. How often do you get to crawl (and I do mean literally) through the bowels of a naval submarine? Small, cramped and endlessly fascinating. I take my hat off to those who once lived and worked aboard.